Investing.com – The euro climbed on Monday, eyeing a move towards last week’s three week highs ahead of the upcoming European Central Bank meeting this week, while the dollar erased early losses against the yen as investors shrugged off geopolitical woes. EUR/USD was up 0.34% to 1.1810 by 03:56 AM ET, having gained 0.92% last week. Demand for the single currency was underpinned ahead of Thursday’s ECB meeting, where it is widely expected to signal intentions to start scaling back its bond purchasing stimulus program. 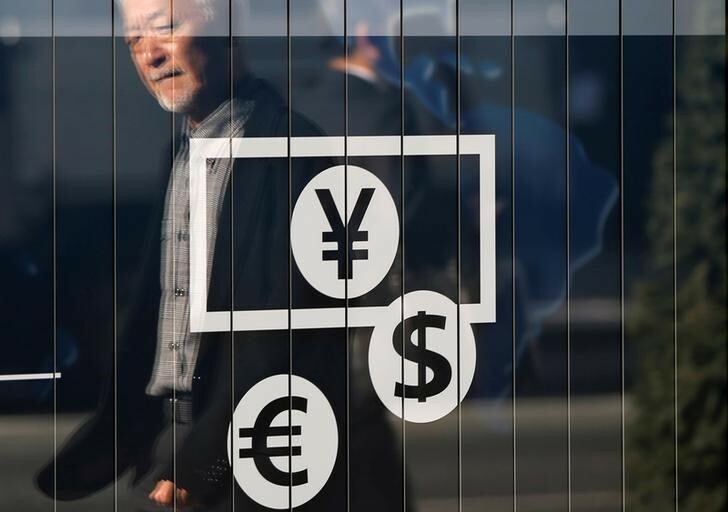 The dollar reversed early losses against the yen, with USD/JPY advancing 0.41% to 109.99, off an overnight low of 109.31. Traders shrugged off geopolitical risks in the wake of the contentious G7 meeting in Canada over the weekend. U.S. President Donald Trump refused to endorse the final communique, accused Canadian Prime Minister Justin Trudeau of making ‘false statements’ and accused the rest of the world of treating America like a ‘Piggy Bank’. Investors were hoping for a breakthrough with North Korea ahead of a historic summit meeting between Trump and his North Korean counterpart Kim Jong in Singapore on Tuesday. Financial markets were also looking ahead to Wednesday’s Federal Reserve meeting, where officials are widely expected to raise interest rates for the second time this year. With a rate hike almost fully priced in, markets are focusing on whether the Fed will hint at the prospect of four rate hikes this year. The Bank of Japan is also to meet later this week and is expected to keep monetary policy on hold at the conclusion of its meeting on Friday. The U.S. dollar index, which measures the greenback’s strength against a basket of six major currencies, slid 0.14% to 93.42. The pound pushed higher, with GBP/USD rising 0.15% to 1.3428. Meanwhile, the Canadian dollar was lower, with USD/CAD rising 0.32% to 1.2966 as concerns over deteriorating relations between Washington and Ottawa weighed.